Kim Kardashian denies 'weird rumor' about being attacked on the street. It seems that Kim Kardashian and a friend were leaving celebrity hotspot Mr. Chow's after attending the Fashion Los Angeles Awards when some random dude bumped into her. She got a little freaked out (understandable, especially given her Paris robbery). There's a picture of the incident you can see at E! News, and both Kim Kardashian and her friend do look shook. But worry not, she's definitely fine, and was not, according to her, attacked on the street. That didn't stop rumors from circulating, though. Her BFF Jonathan Cheban called her to see if she was all right, having read online that she was attacked outside of Mr. Chow. "Totally not true!," Kardashian wrote. "Such weird rumors." A source told E! News that while Kim was "shocked" by the run-in but that a bodyguard stepped in quickly to diffuse tension. The dude was "let go" (no, not fired) when it because clear that he was just somebody who happened to be walking past Kim Karsdashian. Still, can't blame her for looking worried, that dude is pretty close to her, like he's going to walk through her. 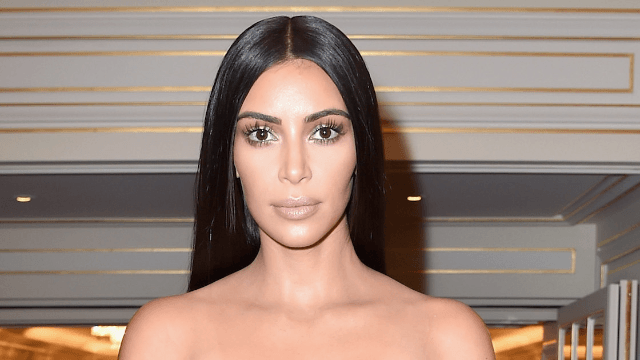 BUT relax everyone, because Kim Kardashian certainly wasn't attacked.